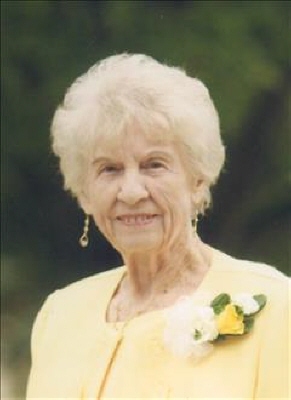 Ethel Flowers Pittman, age 92 of Jasper, Georgia formerly of McCaysville, Georgia, passed away Monday, March 25, 2019. She was born October 29, 1926 in McCaysville, Georgia to the late Andrew and Dolly Flowers. She was a member of Williamstown Methodist Church where she served as choir director for 55 years. She was a loving wife, mother, and grandmother. She enjoyed singing, playing the piano, and spending time with family and friends. She is preceded in death by her husband, Otis Pittman and her precious son, Lynn Pittman. She is survived by her daughter and son-in-law, Carolyn and Jim Johnson of Kingsland, Georgia; son and daughter-in-law, Jim and Norma Pittman of Jasper, Georgia; daughter-in-law, Cynthia Pittman of Mineral Bluff, Georgia; seven grandchildren, Karen and Norm Mallory, Michael and Angela Pittman, Matthew Pittman, Melissa and Jonny Rodgers, Stacy and Daniel Burns, Kandice Pack Baker, Heath and JoJo Pack; and twelve great-grandchildren. There will be a "Celebration of Her Life" at Williamstown Methodist Church, McCaysville, Georgia, on Saturday, April 27, 2019 at 11:00 a.m. Everyone is invited to attend. Arrangements are entrusted to the Staff of Roper Funeral Home and Crematory in Jasper, Georgia. To send flowers or a remembrance gift to the family of Ethel Lee Pittman, please visit our Tribute Store. "Email Address" would like to share the life celebration of Ethel Lee Pittman. Click on the "link" to go to share a favorite memory or leave a condolence message for the family.